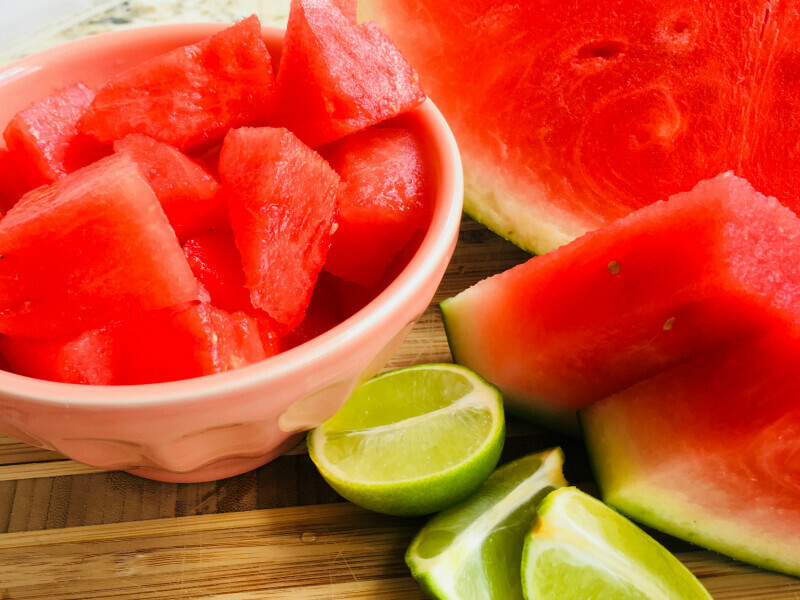 Happy National Watermelon Day! Didn’t know August 3rd was such a special day?! 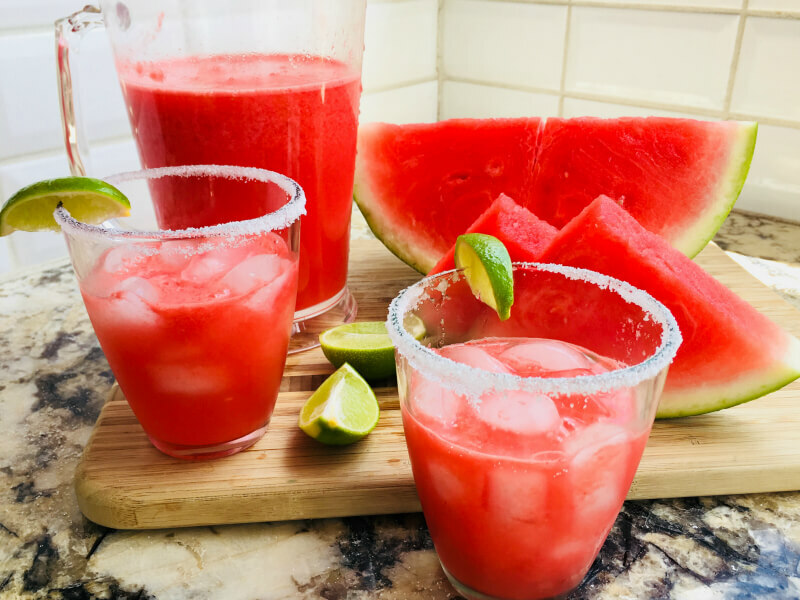 Now you know and to celebrate, I’ll walk you through how to make a Watermelon Margarita! This beautiful watermelon is about to get the cocktail treatment! This recipe is made from scratch and is so incredibly good and pretty! I can’t wait for you to make it! 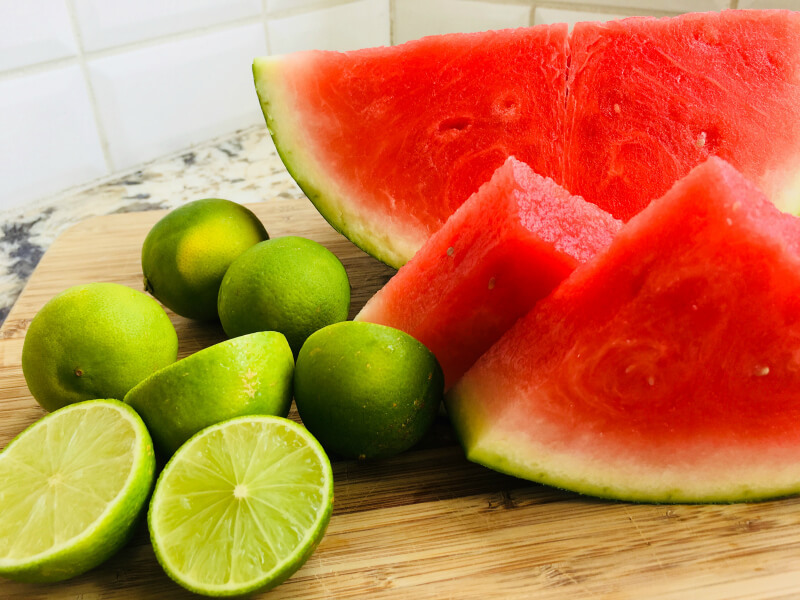 Fresh watermelon and limes are important for good flavour! 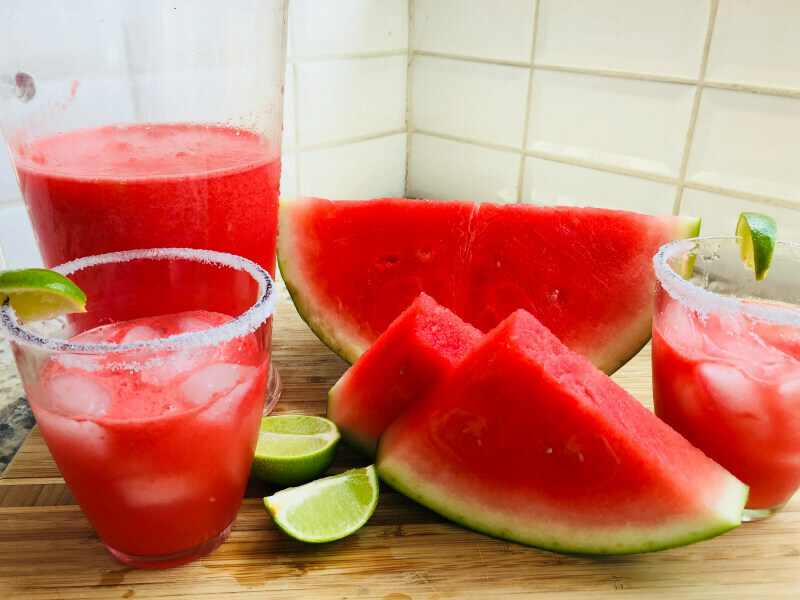 4 cups of watermelon cubes get blended to form the base of this margarita – it makes a pitcher! Don’t be surprised, 4 cups blends down quite a bit. You might need to do it in batches if you have a small blender like my Ninja. 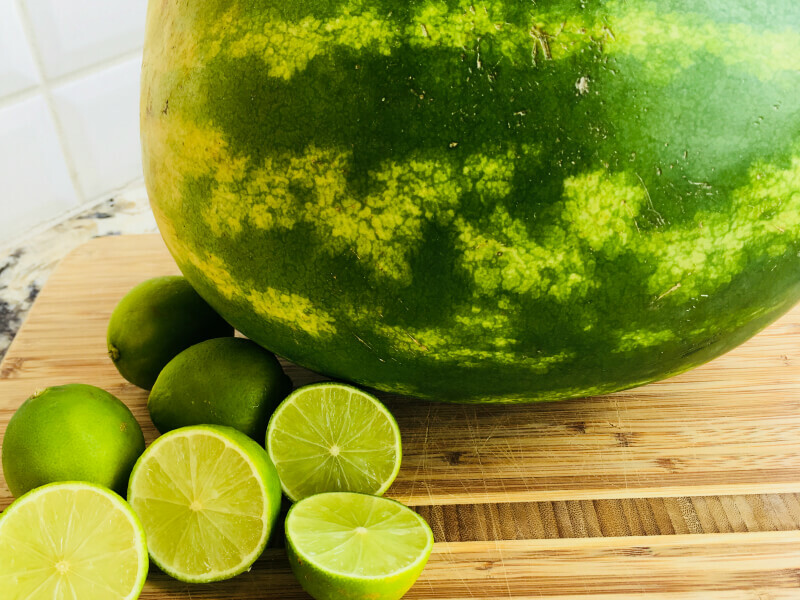 1/2 cup of fresh squeezed lime juice along with 1/2 cup simple syrup goes into the pitcher! Then comes the good stuff: 1 cup of tequila and 1/3 cup of Triple Sec. 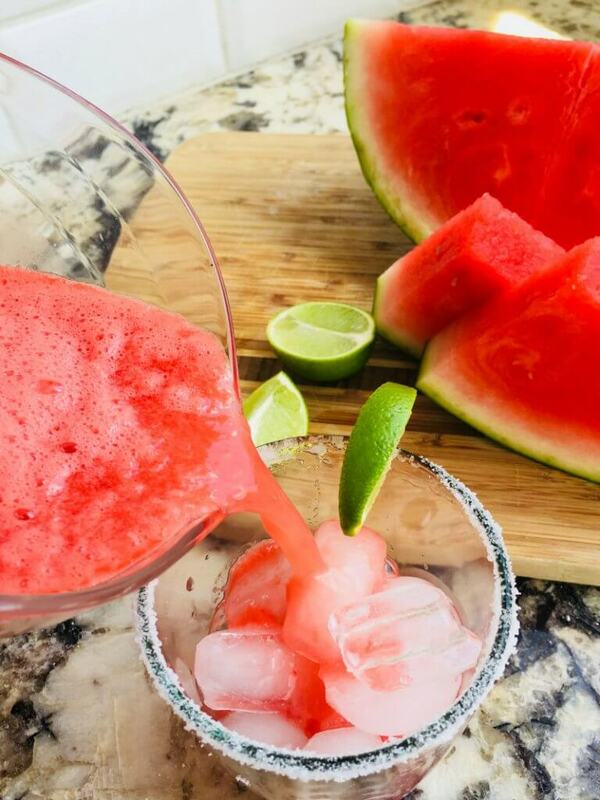 Fill the glass with ice then pour in your Watermelon Margarita! Garnish with lime and you’re set! Quickly invite a friend over, or if you’re like me, take the pitcher over to a friend’s! It’s so gorgeous to look at and delicious to drink – pretty and functional, just the way I like… everything! 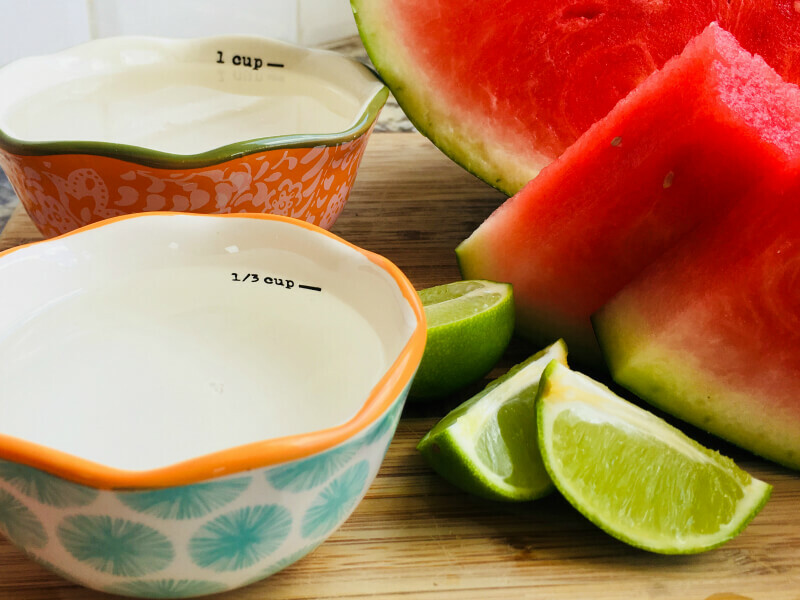 One more look before you hit the recipe, put down what you’re doing, and go make yourself a batch of these to celebrate National Watermelon Day! 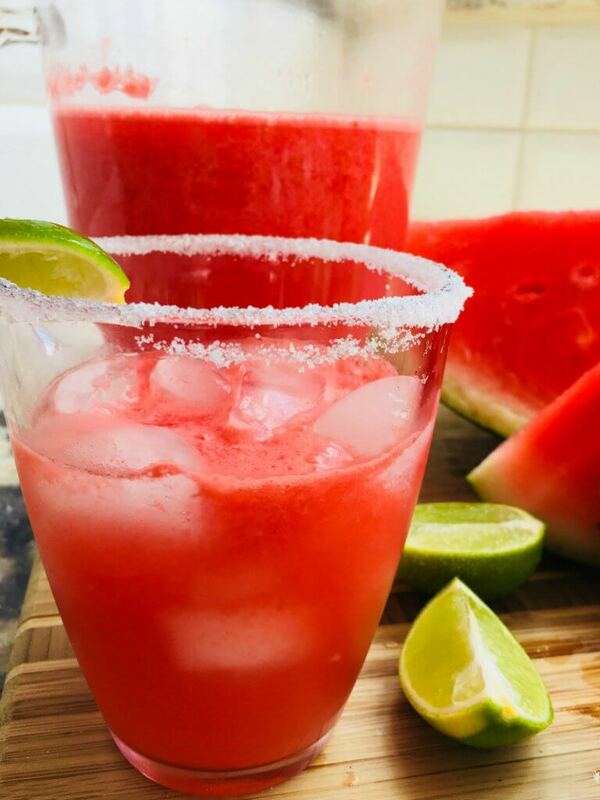 IF you missed August 3rd, you had better make up for it by making Watermelon Margaritas ASAP! Hope you like this yummy cocktail and remember to enjoy responsibly! 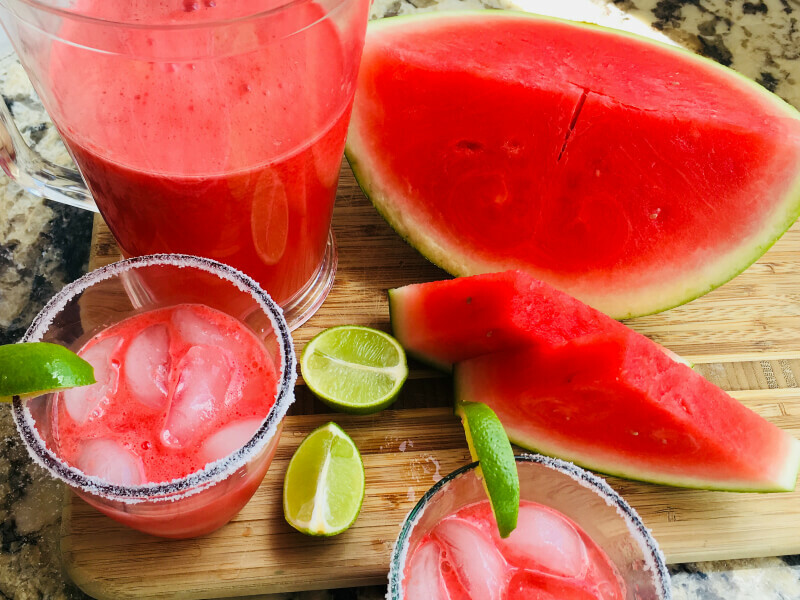 This cocktail recipe uses fresh watermelon and fresh lime juice in perfect blend with tequila and triple sec to make a delicious and refreshing Watermelon Margarita! 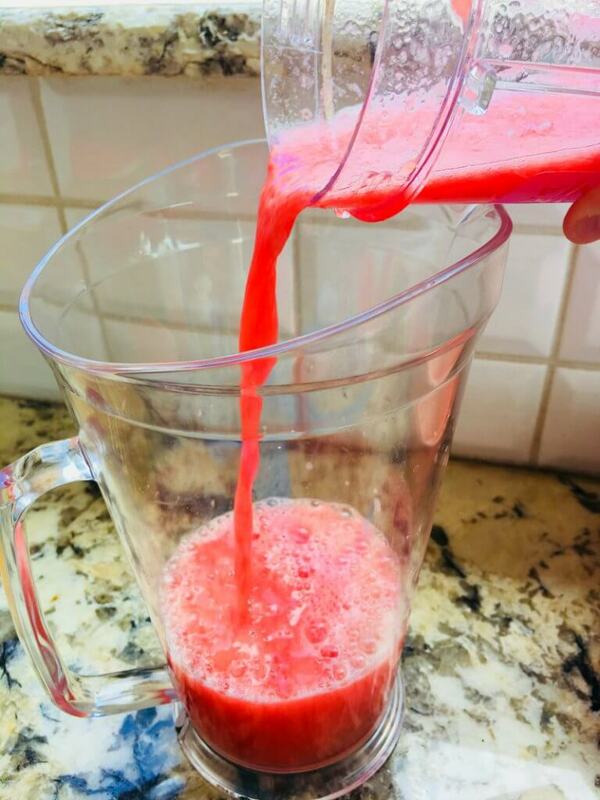 Puree cubed watermelon in a blender or food processor and add to pitcher. Mix in lime juice, simple syrup, tequila, and Triple Sec. 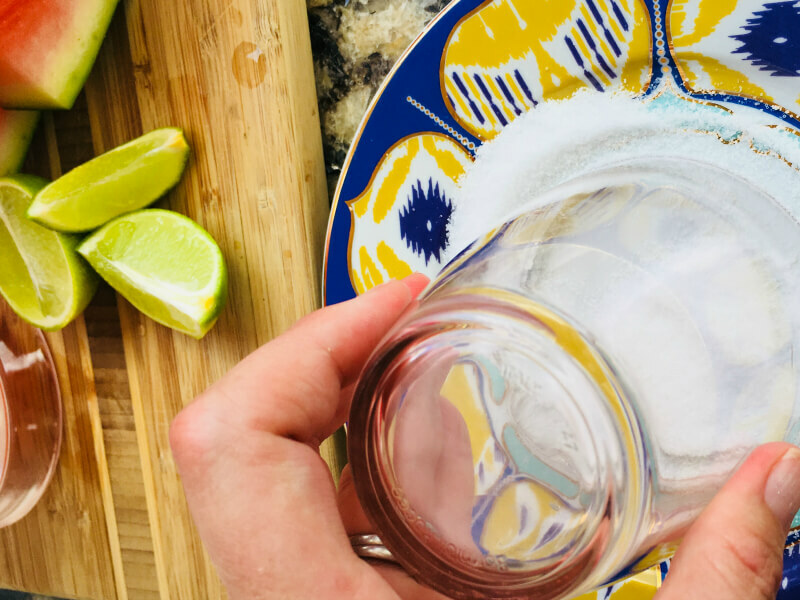 Rub lime wedge on rim of glass and dip in salt, then fill glass with ice. 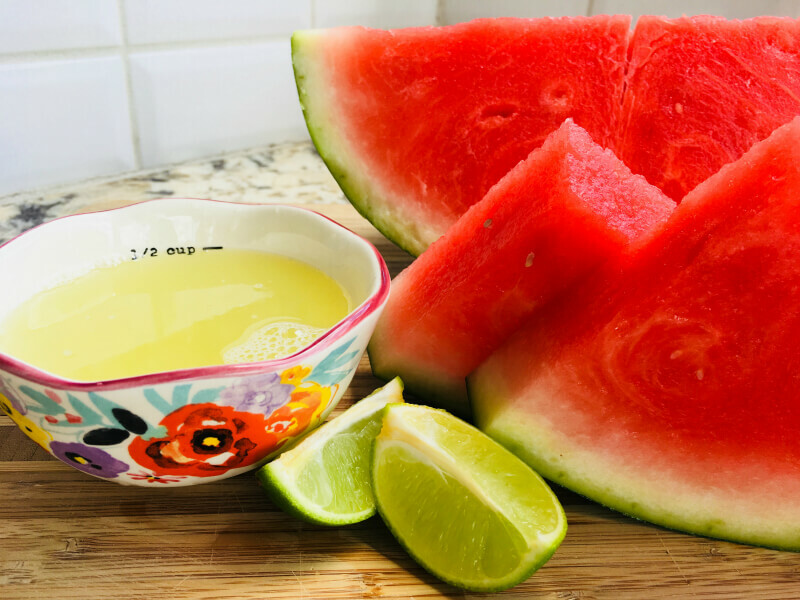 Fill 'er up with your yummy Watermelon Margarita and garnish with a wedge of lime! Quickly text a friend and tell her you just made THE BEST margarita and she better get over quick before National Watermelon Day is over. Note: because of the fresh watermelon, you need to give this a good stir before you refill the glasses, which you WILL do.